Founded in 1893 as a saddle and harness manufacturer, Alfred Dunhill is world-renowned for excellent, high-quality tailored menswear and accessories. Alfred Dunhill owes its success to its founder's commitment to quality craftsmanship. 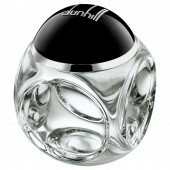 Dunhill has set the bar high for quality. The prerequisite for each product is that it must be useful, beautiful, and the best of its kind. This is the foundation upon which Alfred Dunhill has been built, and it remains just as pertinent to this day.